Free Spanish Agenda Labels: Tired of writing the same things on your daily agenda every day? No problem, just print out these labels (card stock keeps them nice throughout the whole year) and if you have magnets to stick on the back, that works best, otherwise you can just put magnets on them when you put them on the board. Spanish Classroom Labels: Includes 30 labels in Spanish for common classroom items with a picture. Post these labels with pictures in your classroom and listen as your students start using the Spanish word to talk about the items. Spanish FVR Classroom Library Labels: Organize your classroom library with these printable labels. Label your cabinets or put in front of the item itself. Also includes smaller labels that you can attach to items such as stapler and tape dispenser. 10 Misconceptions about the Spanish Language and Culture: Over 7,000 downloads of this powerpoint which features 10 statements which ask students to decide if they are true or false. These are 10 things that a lot of students don’t know, but they definitely should. 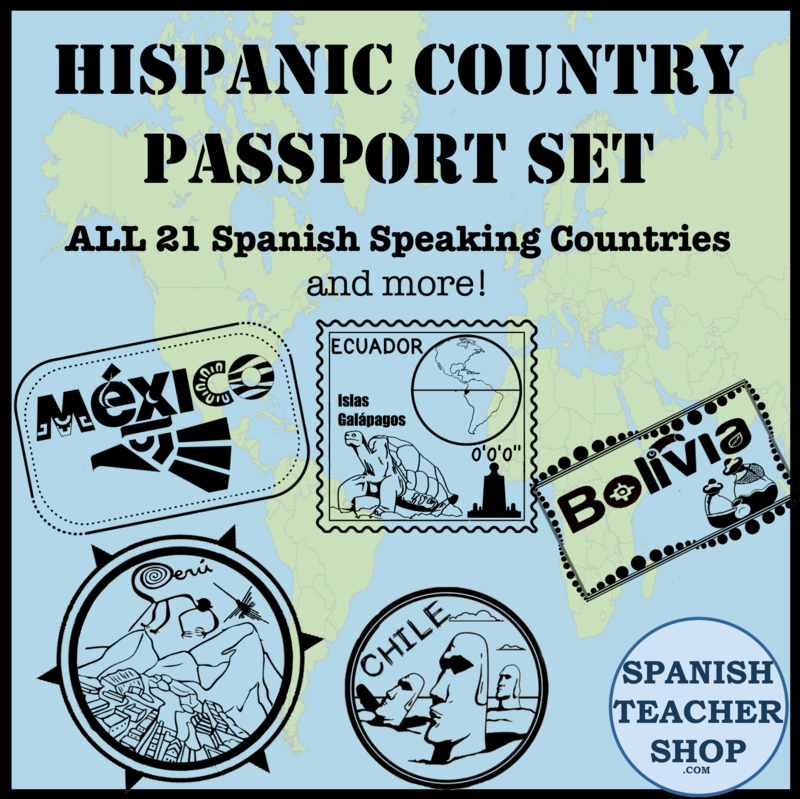 Features common misconceptions about the Spanish language worldwide and in the US, as well as about the people who speak Spanish. Student Survey for the beginning of the year: Find out what your students like to do by giving them this survey on the first day of school. They will be surprised when you pull out this information throughout the school year and wonder how you know their favorite musician! Latin American Holiday Calendar: 70 national holidays broken down by date and listed by each country, this also includes a google calendar that you can embed on your website or add to your own calendar. Have your students research any of these holidays and present their research in this free Holiday Project. A template for making a parody of the 12 Days of Christmas but with references to your TPRS stories. La Criatura Parte 2: A follow-up story from a Martina Bex lesson (which is also free). De Que Me Sirve La Vida lesson plan: Using the song and music video from “De Que Me Sirve La Vida” by Camila, this lesson is great for teaching tolerance and being aware of other peoples’ problems. Download the screen captures of the “signs” from the music video. Raquel Sofia Agridulce Song Cloze Activity: This canción from Puerto Rican singer Raquel Sofia features a lyric sheet, cloze activity, and follow up activity. Level up Notes: Moving your students from the novice level to intermediate level by encouraging detailed sentences with transition words. Celebrity Face Masks: Over 15 celebrity face masks for adding a celebrity to your TPRS story. Nothing grabs students’ attention like Beyonce, Kanye West, Justin Bieber, Shakira, or Juanes! Print and tape a popsicle/craft stick to the back. Spanish Expressions Bingo Card Give students a bingo card of expressions and phrases. When they complete they board, give them a prize. Get them motivated to incorporate phrases and reactions during class. Jesse y Joy Cube Crafts – Make your own Jesse & Joy cube-craft paper doll. FVR Novel List and “Accountability”: An editable list of novels for a level 1 class and with a way or your students to check track of what they are reading and give a ranking. Parent Handout for Open House: Explaining TPRS and teaching with CI to parents during Parent Night. Proficiency Levels Poster: Using ice cream cones as an analogy for ACTFL proficiency levels. Spanish 1 Curriculum Guide / Curriculum Template: A sample of a middle school second year (level 1 B) TPRS curriculum documenting the story, its targeted vocabulary structures, grammar pop-ups and even cultural notes.